The OontZ Angle 3 Portable Bluetooth Speaker is the best-selling water-resistant wireless speaker we’ve covered by a wide margin. And when we say “wide margin,” we’re talking WIDE. You guys have bought more than twice as many Angle 3 speakers as any rival device, and we have received a bunch of great feedback from people who love them. After all, you don’t get to have a 4.4-star rating with more than 27,000 reviews on Amazon without being a pretty awesome product. If you haven’t already picked up an Angle 3 — or if you want to snag another one as a gift — now is the perfect time. 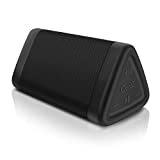 An on-site clippable coupon drops the price of this awesome speaker to just $21.99, which matches its lowest price ever.